This is more than just a tour by night; you will experience Seville flourishing as night falls. Amongst the city’s main cultural landmarks; the Cathedral, the Giralda Tower and the Alcázar Royal Palace, Seville comes to life at night. We will delve into this attractive atmosphere winding our way along the attractive narrow streets of Santa Cruz and be drawn in by the captivating light of Plaza de España. 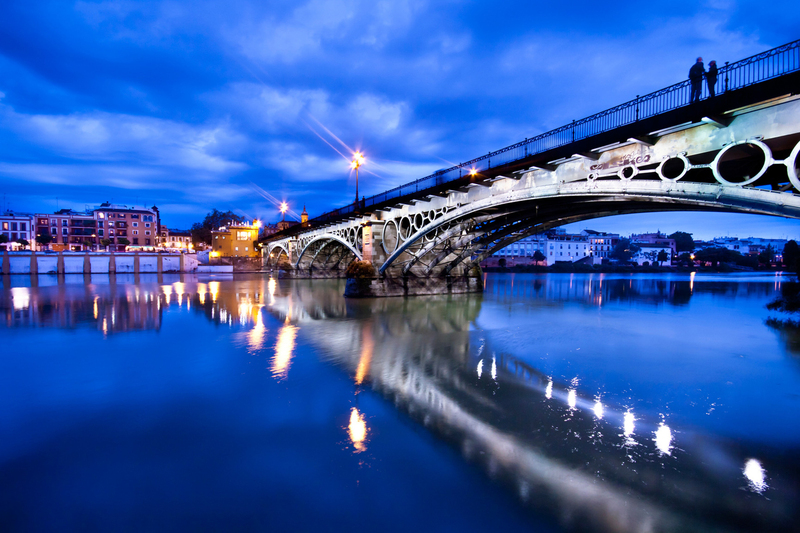 Then we will go on towards the Guadalquivir River and wander through the streets of the popular Triana area which has a flamenco atmosphere and is full of tapas bars.